Chef Pascal Aussignac's impressive and innovative dishes have won Taste of London's "Best in Taste" three times. 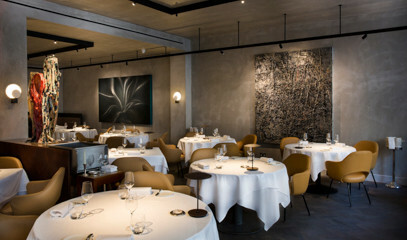 This elegant Michelin starred restaurant offers a taste of Gascony, in the South West of France. Club Gascon's menus are monitored by “Le Comité Renaissance" which ensures the highest standards of freshness and authenticity.